“…It’s just amazing, God is so multifaceted, He’s so expansive, and He’s so detailed, and He just loves us, He wants to speak to us, He wants to show us things, and so sometimes we just need to go back, and just remember what He’s done and let Him reveal Himself in a new way…” Kari Jobe, associate worship pastor at Gateway Church in Dallas; is one of my favourite female vocalists over the past few years, and has had quite a few busy years, garnering praise, accolades and fans in both the Christian and mainstream industry. Her highly successful sophomore album Where I Find You was released to critical acclaim and top spot on the Billboard charts in January 2012, and Kari also re-recorded the album in Spanish, as well as released an acoustic EP with music videos in 2012 also. Her third full length album, the live Majestic released in 2014 to rousing praise as well, with all the tracks being brand new, and recorded at the historic Majestic Theatre in her hometown. In my opinion, Majestic was the Sparrow Records’ artist’s best work, co-writing many songs with friends such as Matt Redman, Chris Tomlin, Brian Johnson, Jason Ingram, Paul Baloche, Reuben Morgan, Marty Sampson, Mia Fieldes, Jenn Johnson and Christa Black Gifford. 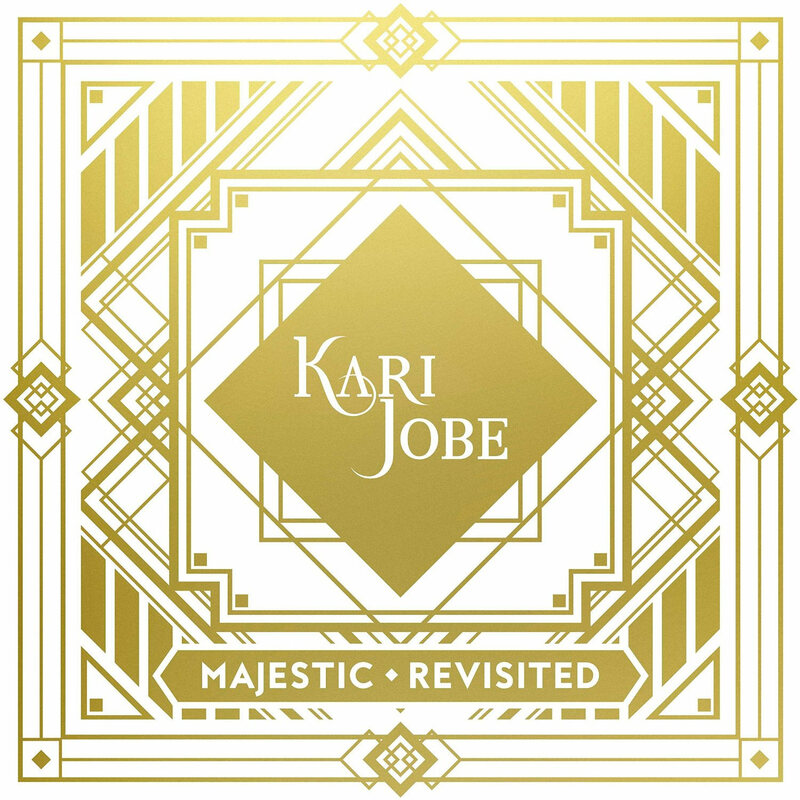 Capitalising on that success, Kari has recently unveiled a new-ish album, with Majestic Revisited dropping last week. In essence, it’s the same 13 songs recorded in a new light in the studio, but hopefully that doesn’t turn you off listening to the album. In fact, these tracks are more powerful and poignant than ever, as we delve into the beautiful mysteries and intricate details of God that we might have missed in the live project. So what are we waiting for? Let’s dive in and take a look at some of last year’s (and also this year’s) most God anointed tracks, and songs that make you weep with emotion, as we sing in unison with Kari that Jesus is Lord and that He is sovereign over everything! If you’ve listened to the album Majestic last year, chances are you know all of the songs inside out already. You’ve been touched, motivated, encouraged and inspired by Kari’s flawless vocals and exquisite songwriting, and the live atmosphere of the album is something different that has probably touched your soul and impacted upon your heart. Well, Majestic Revisited is similar to Majestic given that it is the same songs, however the album isn’t live but recorded in the studio. With the piano being the main instrument at the forefront, the ‘new’ project is reimagined with soft, soothing music and an atmosphere that could be for personal worship. So let’s sit back and revisit some everlasting and eternal truths, and bask in the unending love of God. Opening the ‘majestic’ and Holy Spirit inspired track list is “Let The Heavens Open”, which was the album closer in the live track listing. The positive and buoyant worship anthem, which is the perfect way to start the album, rather than having a celebratory and upbeat energetic atmosphere, is instead subdued with light piano and serene vocals being at the forefront (with an emphatic string crescendo near the end for variety as well!). Nevertheless, Kari sings authoritatively about revival and God sending down His presence, and even in this experimental version with strings abound, I myself personally am moved and almost tearful, as I passionately and fervently praise my God with Kari, becoming lost in abandon as I soak in the presence of the Almighty. With parts of the closing track sounding like something Delirious? would write and perform; this exemplary version segues into other exquisite melodies on this album! Potential single “Keeper Of My Heart”, co-written by Chris Tomlin, is brilliantly transformed into a light piano dance anthem, with plenty of reverb and vocal distortion included, delving into God being the keeper of our hearts and the One who our entire being longs for and desires. Driven by booming percussion and stirring and exquisite strings, all capped off with Kari’s earnest and unequivocally passionate and striking vocals; we are met with one of my favourite songs on the album, as we unashamedly proclaim that ‘…my strength, You’re never ending love, I know You have overcome, I’ll sing when all is said and done, You’re my hope, my only hope…’. Song after song, melody after melody, Kari reinvents every live classic and changes the music up to create entire new worship experiences and new perspective, which is commendable as all of these versions are pulled off with professionalism and flawlessness! “Only Your Love”, a dance infused worship anthem, that could easily be on a DJ playlist at a club or bar, speaks about the uniqueness of God’s love and that ‘…Your love is like no other, nothing else satisfies, it flows through the deepest waters, it rests on the mountains high…’, and with Kari brilliant belting out her praises and adoration to our Saviour and King, I can’t help but be immersed in the beauty and power of the song, and soak in the presence of the Almighty. While the 5 minute inspiring and motivational “Always Enough”, written by Reuben Morgan, Kari and Jason Ingram, is beautifully recorded and plays out like a mid tempo piano ballad, with just a smidgen of electronic and remix effects littered throughout this exciting acoustic effort. A soft and comforting worship anthem, the song prophetically proclaims that Jesus is always enough for us, and that His love is more than we could and should ever need or want in this world; Kari delivers this song with great authority and conviction, with her stunning voice and heart for Jesus highlighting why she is one of my favourite female vocalists currently, and also why she is so popular and respected in the worship industry right now. The more upbeat pop melody “Breathe On Us” (with added Nintendo and Gameboy electronic effects) is next, and though the tempo is slightly different than the more slower tempo piano led previous tracks, the message of Jesus being the centre of our lives, and asking God to show up, and ‘…breathe on us, Holy fire fall, come and fill this place with Your presence, like a rushing wind, send Your spirit here…’ is still the same, and doesn’t waver all throughout the album. While the musically different and unique “Holy Spirit”, which is basically a piano rendition of this Jesus Culture classic, is just as poignant and moving here. Originally standing tall at nearly 10 minutes, and sung with her now husband Cody Carnes, this 5 minute tune has Kari covering this melody expertly and beautifully, making this song her own and not sounding like a carbon copy of previous versions. Thankfully, Kari does this song justice, and then some more; presenting us with a worthy rendition and possibly one of the best versions of my favourite worship song of the past year- this studio version is in my opinion more enjoyable than the live version as Kari and Cody sing perfectly in harmony with each other, and stick quite close to the tempo of the original live Jesus Culture track. “I Am Not Alone”, transformed into a subdued ethereal piano and synth prominent worship ballad, is by far the highlight of Majestic Revisited, as it is with Majestic as well. With the melody speaking about God’s constant presence and promise that he’ll be with us in our lives no matter what, we are gently and emphatically reminded that God never gives up on us, even if we give up on ourselves. As the hard-hitting chorus relays the eternal truth that ‘…I am not alone, You will go before me, You will never leave me…’, “I Am Not Alone” is sure to brighten anyone’s day, and is certain to uplift many when we’re feeling down. Kari’s motivational and enthralling vocals are at her brilliant best here as well, despite the lack of a musical crescendo! With the helpfulness of Chris Tomlin and Matt Redman writing with Kari for the pseudo-title track, we are delivered a riveting and majestic track indeed, as we are pointed out to the splendour and grandeur of God, with Kari shouting out ‘…how majestic is Your name, Jesus wonderful, powerful, You’re the Lord of all…’, an emotional and heartfelt declaration that brings me chills and goosebumps. A stellar and intense remix and synth heavy crescendo and instrumental solo are what also brings this great song to the heights of brilliant, while the spontaneous free worship track “When You Walk In The Room”, is a great re-recording as well as we ardently and fervently praise God and worship Him just for being in our presence and loving us unconditionally. I cannot not mention enough about “Forever”, the Bethel Music melody that has simply just taken off, loved by both listeners and critics, and made popular by Kari Jobe. The worship anthem and lead single of Majestic, lyrically it’s easy to see why this track has had such an impact in the lives of many. Vividly and descriptively painting a picture of Jesus’ death and resurrection; our redemption story and also what heaven may look like, as the honest words of ‘…forever He is glorified, forever He is lifted high, forever He is risen, He is alive…’ ring out; I can’t help but echo and agree with Kari’s sentiments! Musically this new version hits all of the right chords as well, as Kari’s infectious joy is undeniable, and there’s some skilful guitar and piano work as well. The hits keep coming and coming with the anthemic and powerful “Hands To The Heavens”, co-written with Jason Ingram, where Kari ardently asks with a sense of vulnerability, that God come into our presence and show us more of Himself; as well as “Lord Over All”, a timely reminder that God is Lord over all, that Jesus will deliver us from our darkness and trails, no matter the time frame and no matter if we have faith or not. The rousing and thought-provoking bridge of ‘…out of this darkness, into Your promise, You will deliver me, eternal Savior, You stand forever, You are my victory…’ is probably the most impacting part of the song for me, as I stand, lift my hands and praise alone with Kari! And while musically these two melodies are not as engaging as previous songs on this track list as well as their live counterparts; the album ends with a moving and stirring rendition of “Look Upon The Lord”. Previously recorded by Paul Baloche in The Same Love in 2012; Kari’s studio rendition of the melody proclaims and declares God’s goodness and praises, that ‘…You are good and your mercy will endure, You are good and forever we are yours, hallelujah, hallelujah…’, and is a song that will probably be sung in churches everywhere pretty soon. “…I just pray that when you listen to this project, that the Lord would just move in Your heart, that He’ll wash over your family, and that you just would be reminded that God is big, that He’s mighty, He’s faithful, He’s patient, He’s in the journey with you, that you can be still and know that He is God, that He’s fighting for you…” If you haven’t had the pleasure of listening to Kari Jobe’s albums before and are not sure whether to give her music a go, then I would say Majestic Revisited (and Majestic) is the place to start and you’d probably be a fan after listening to even a couple of tracks. With each of these 12 songs (minus the spontaneous moment half way in the track list) being in the top 20 of my favourite songs of Kari; there’s no doubting the passion, enthusiasm and strong faith for Jesus that Kari has. Sure to be popular and probably sung over and over during the coming years, I can tell that I will love these songs more and more with each successive listen. So…this album is one of my favourite albums of 2015 (with the live album being one of my favourites of 2014! ), so pick one up at your Christian bookstore today! Yes… today!